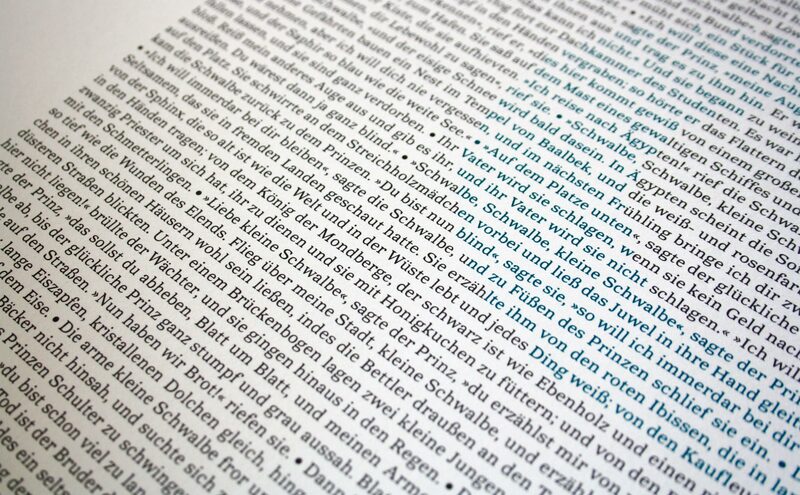 The design of the typeface Novela is based on the idea that every type has a certain character. The reader does not only perceive the meaning of the text when he reads it but is also influenced by the type the text is set in. Novela’s forms are round and soft to create a warm impression. To ensure a good legibility at the same time, the rounded forms are rather to be detected in the details, such as the serifs, the terminals of ›a‹, ›c‹, … or the spurs. The low contrast makes the type look relatively dark and gives it an even appearance.